We offer custom firing of greenware pieces from other studios, and artist pieces made from clay. 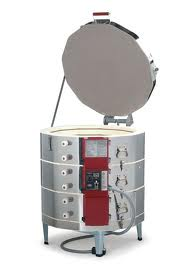 Options include firing by the piece, shelf or by the kiln load. Please Note: An extra fee will apply for pieces needing glaze application. We reserve the right to turn away any firing. Allow 7-10 days for pieces to be fired. Important: If the firing of your items causes damage to the kiln or any other pieces, you will be responsible to cover the cost of all damages.